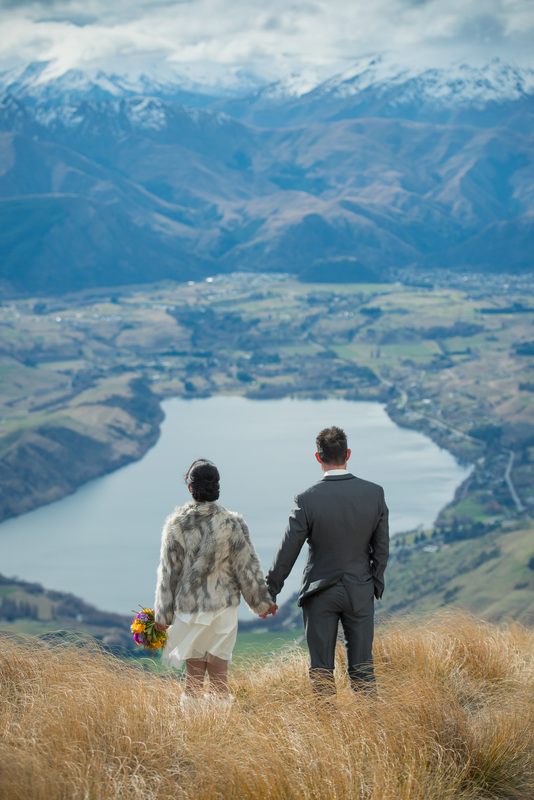 Jen and Mick…These two rockstars eloped with us years ago and we still love it whenever we see their wedding photos pop up on our social media and website pages. 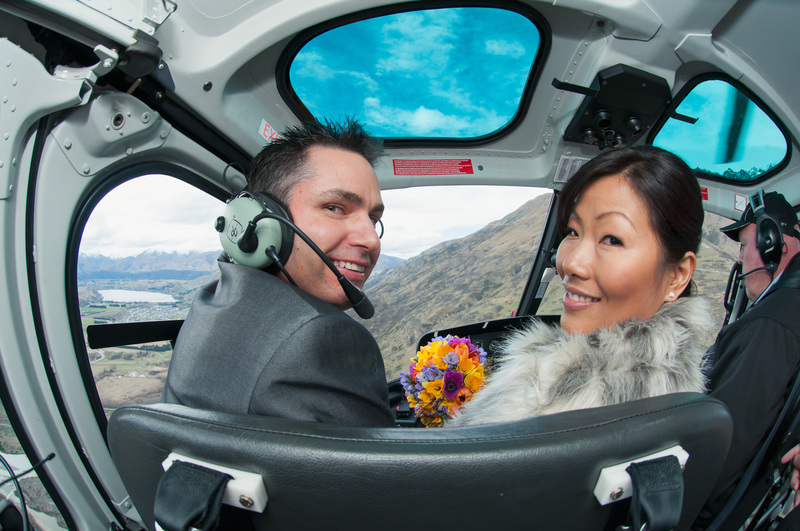 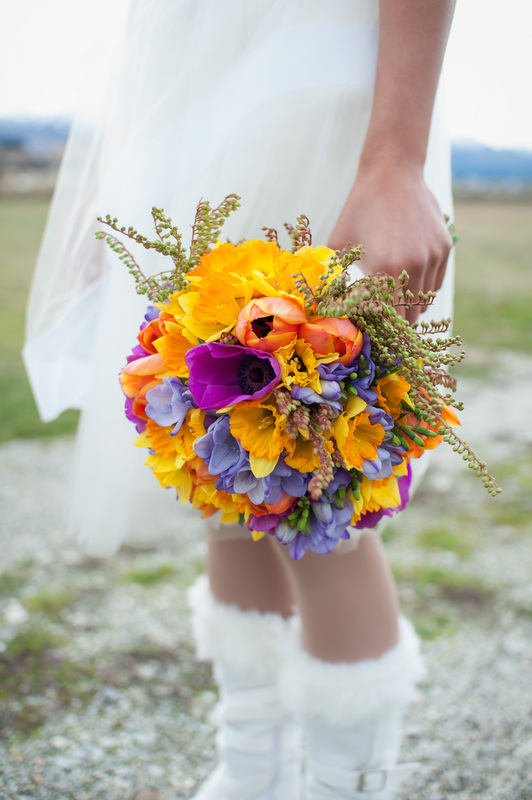 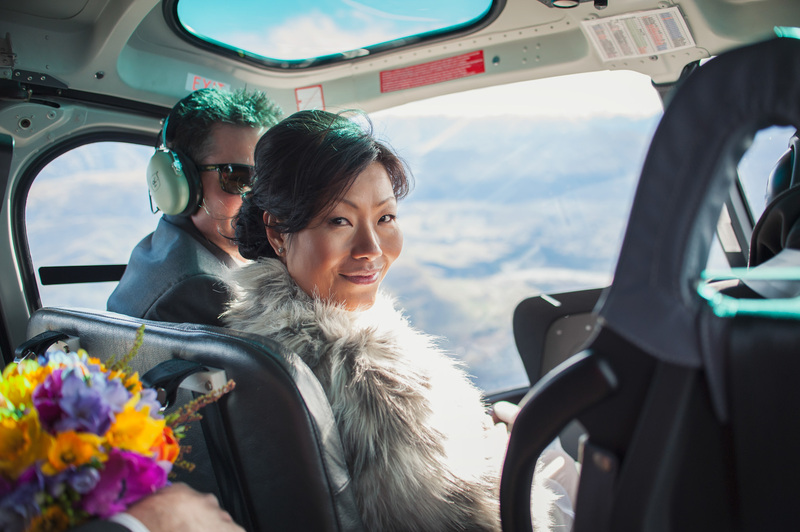 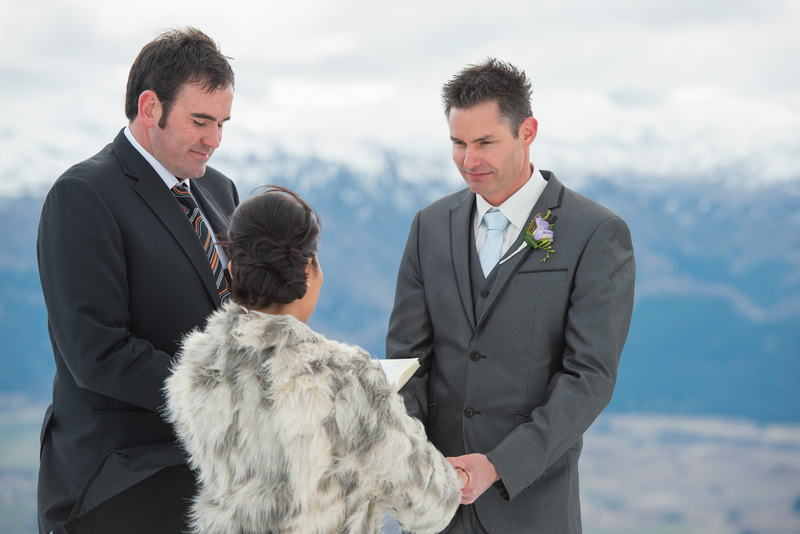 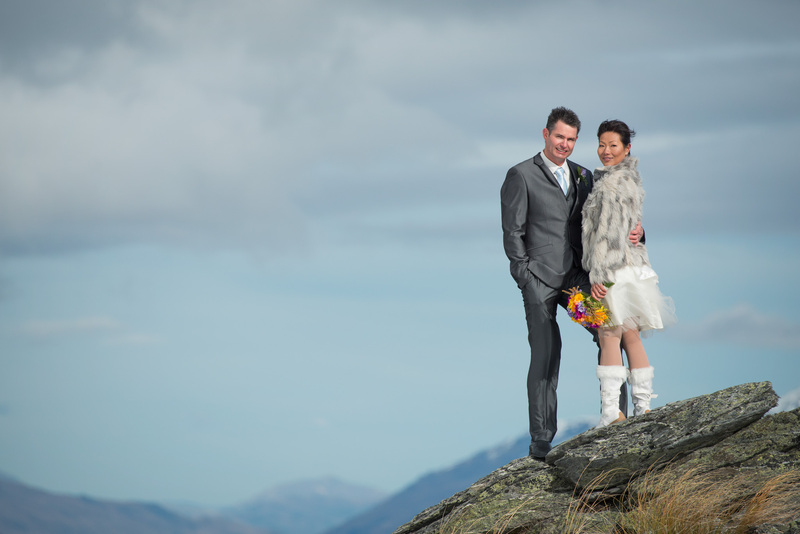 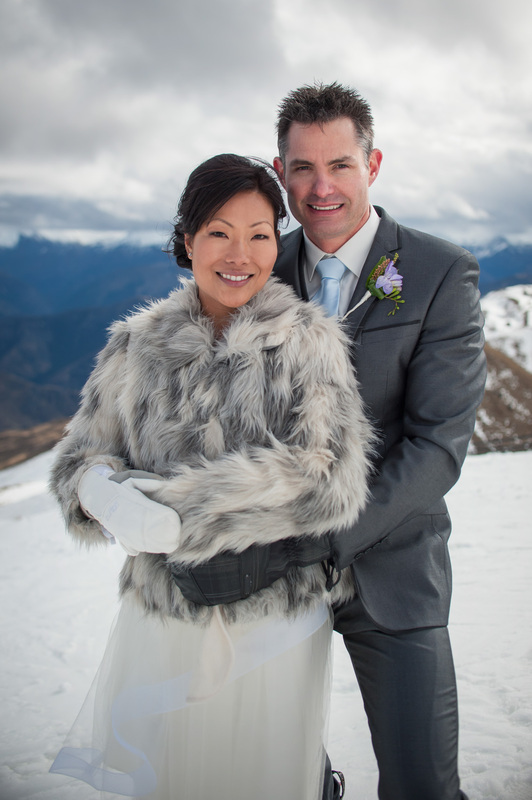 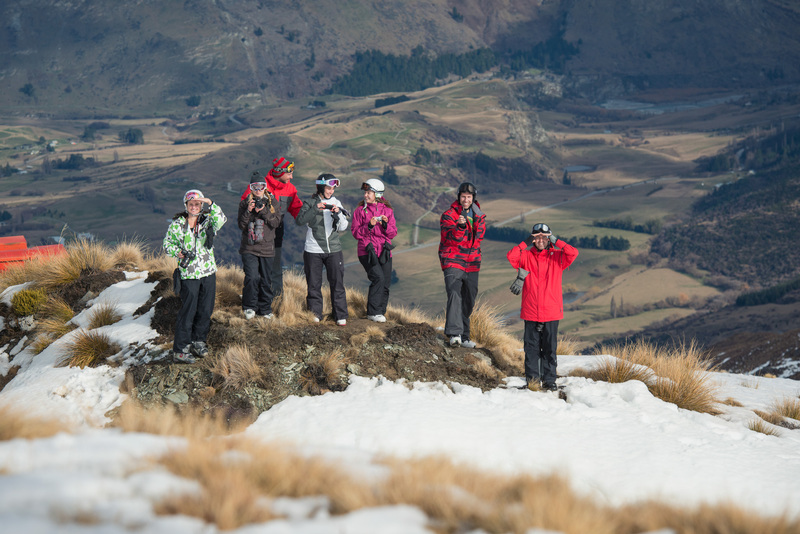 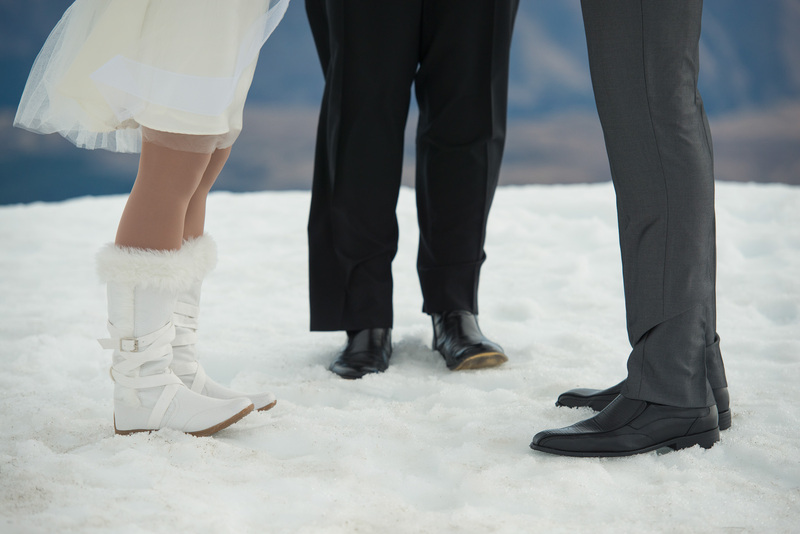 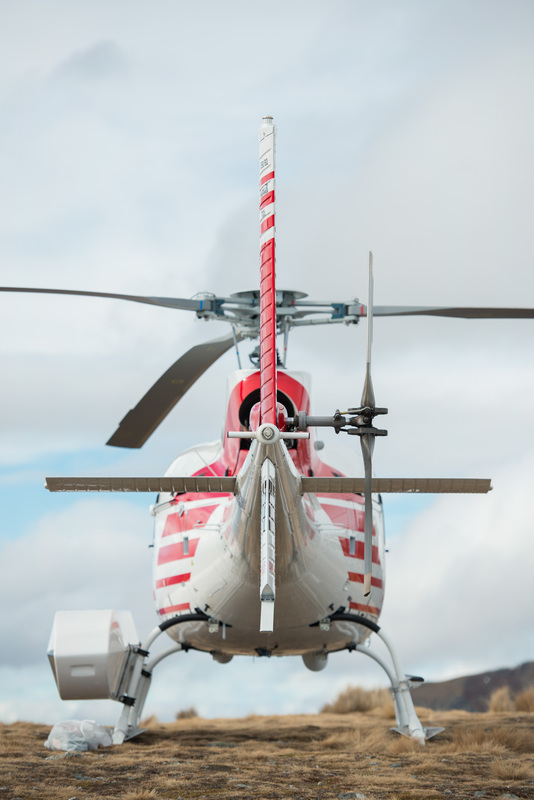 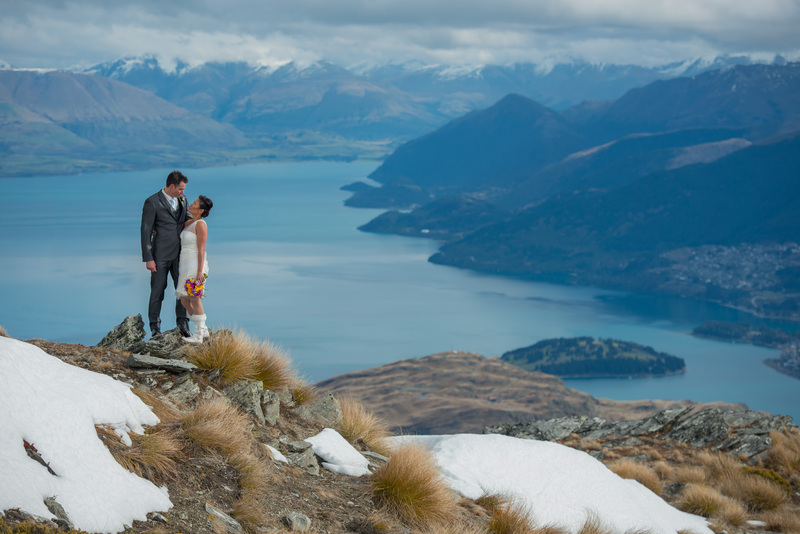 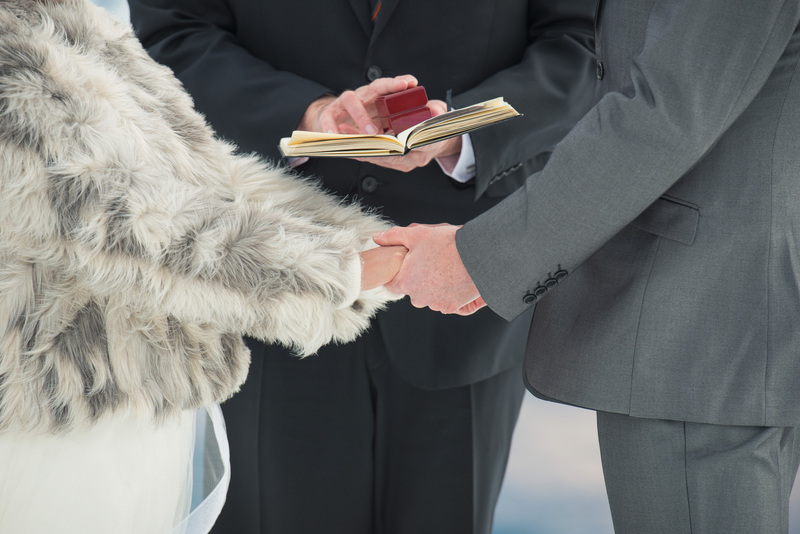 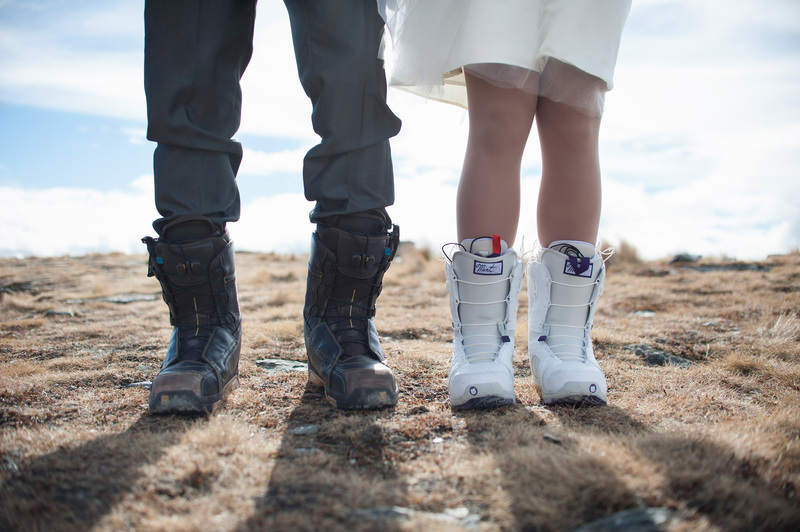 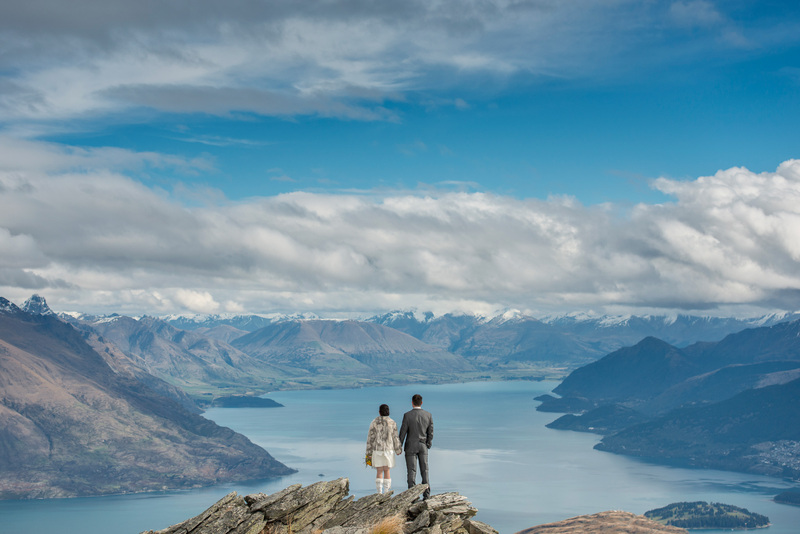 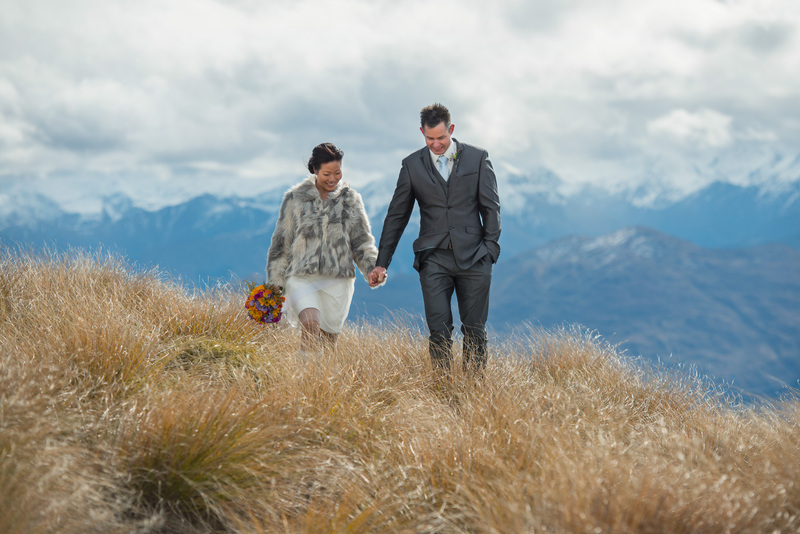 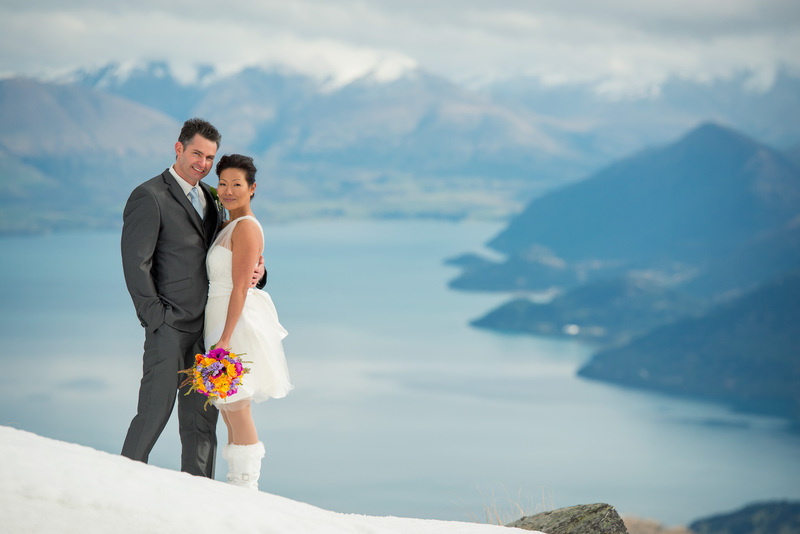 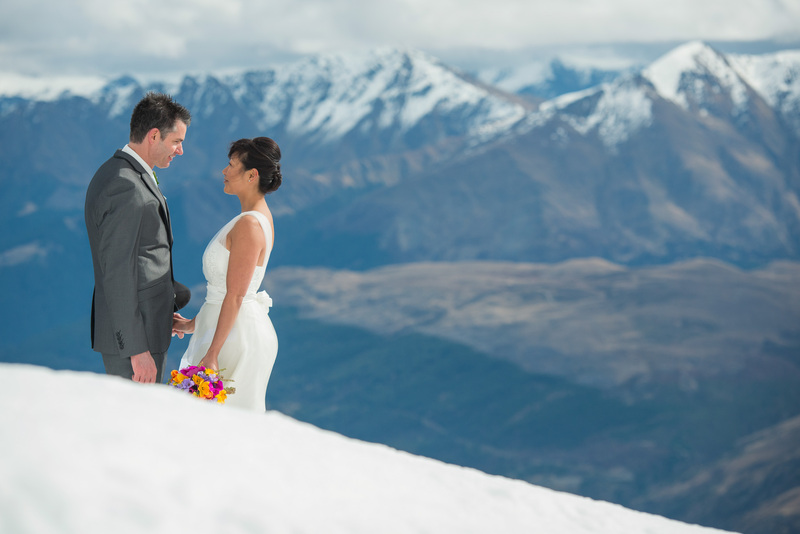 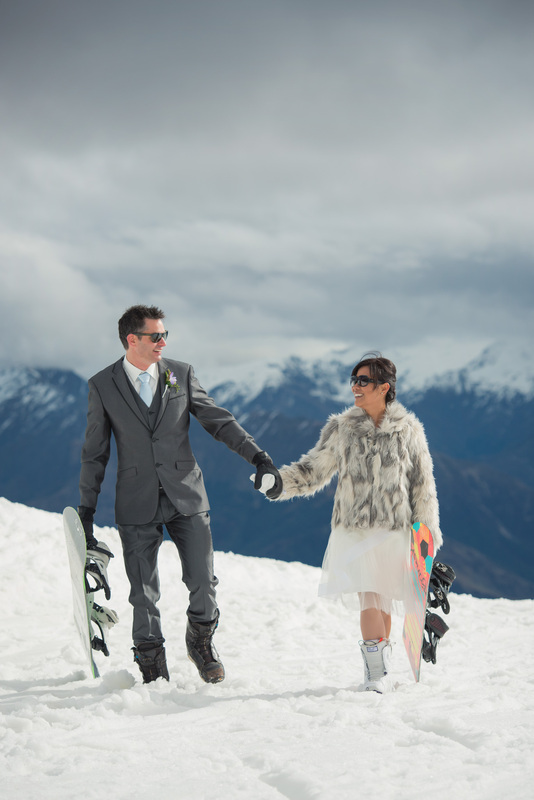 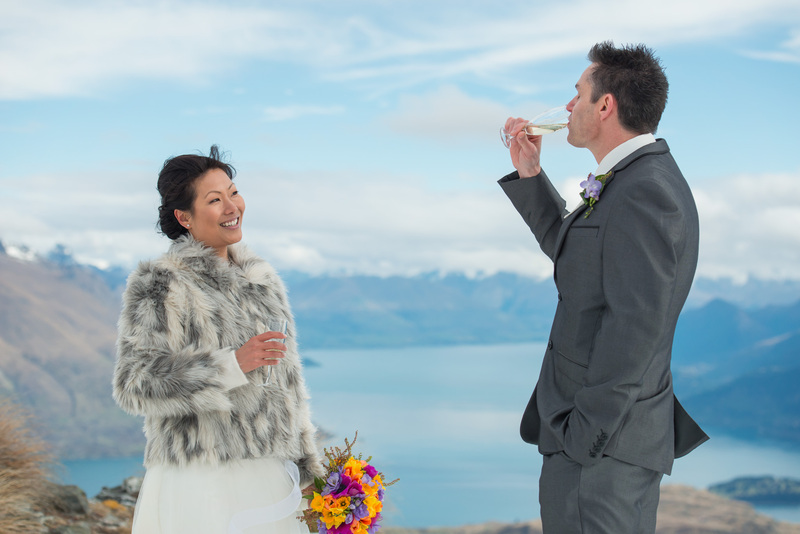 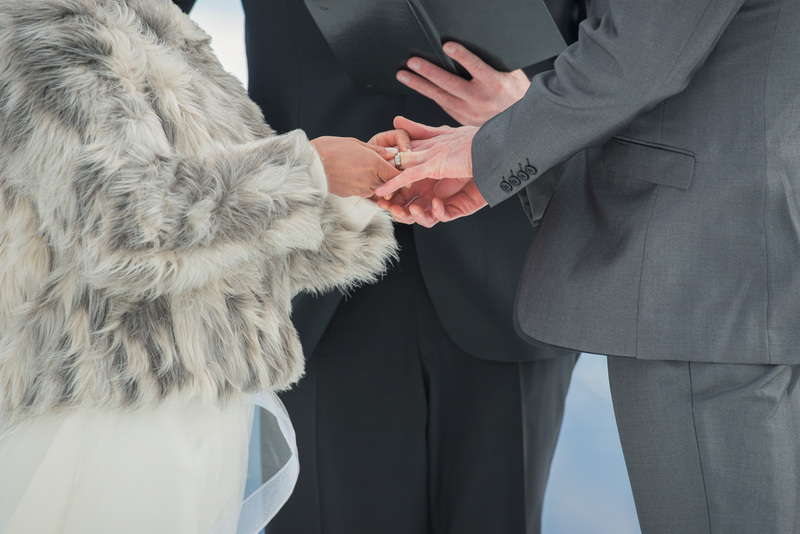 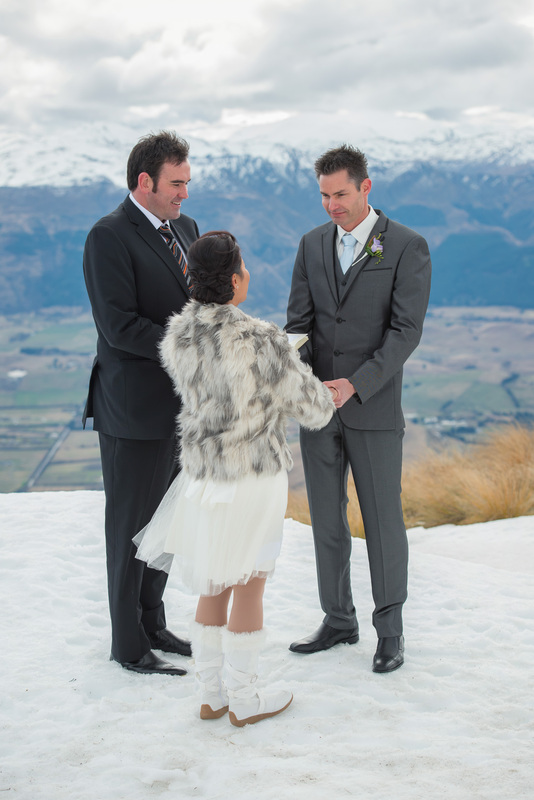 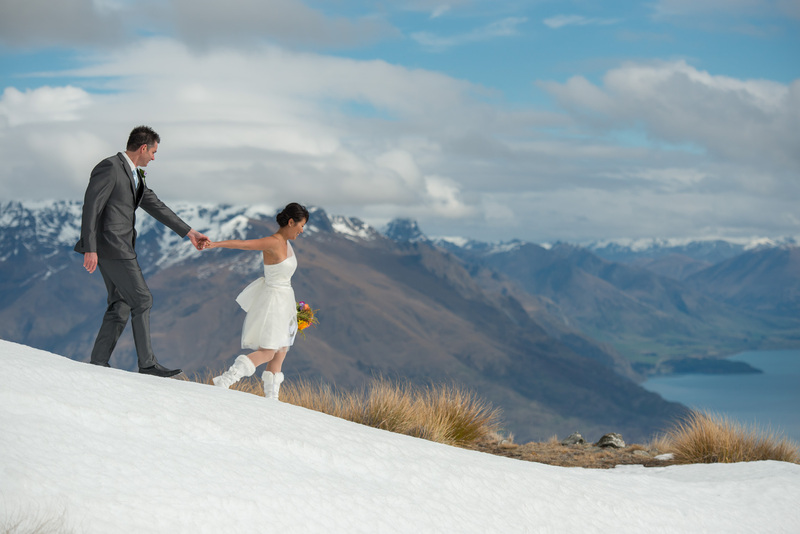 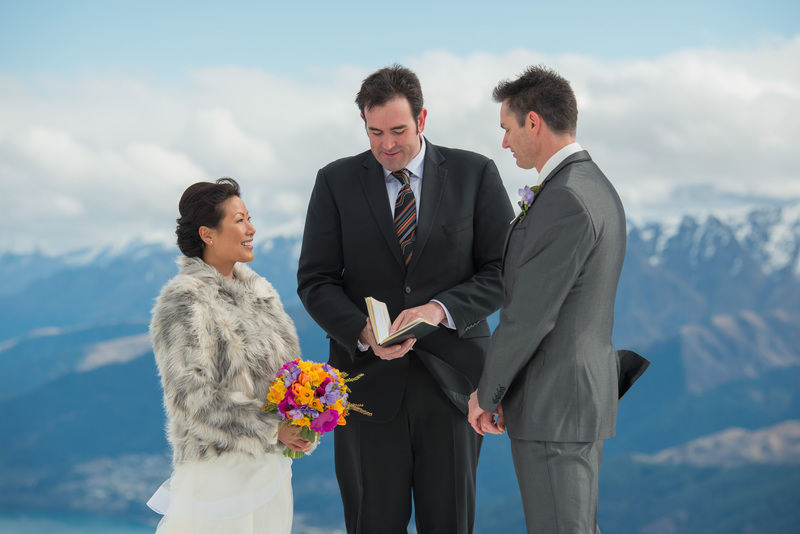 Being avid snowboarders and visiting Queenstown each winter, it was only natural that they combine their wedding with a snowboard trip and voilà – they married in the snow before being flown to Coronet Peak to go boarding with their friends. 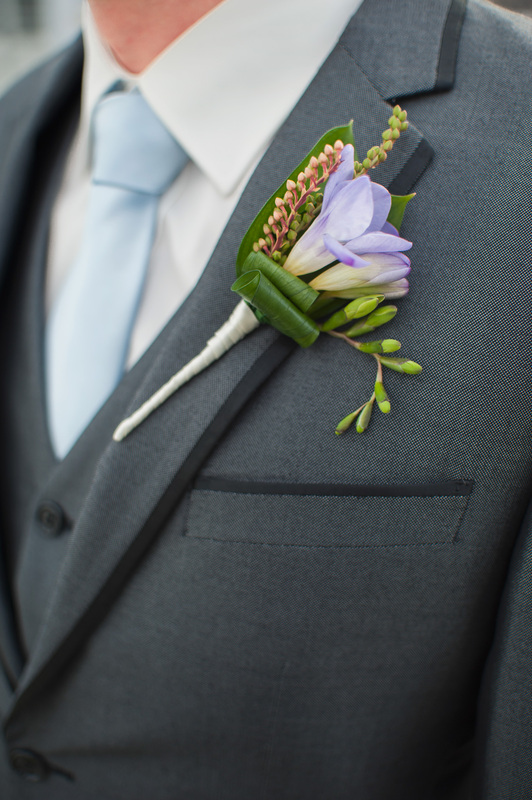 Thanks to an awesome team: Rich Bayley Photography and The Flower Room! 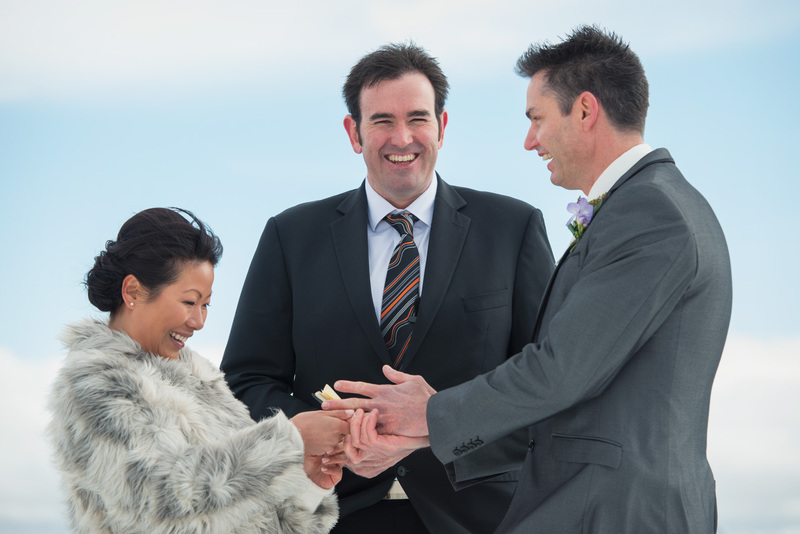 Celebrant – Al, one of Jen + Mick’s friends.